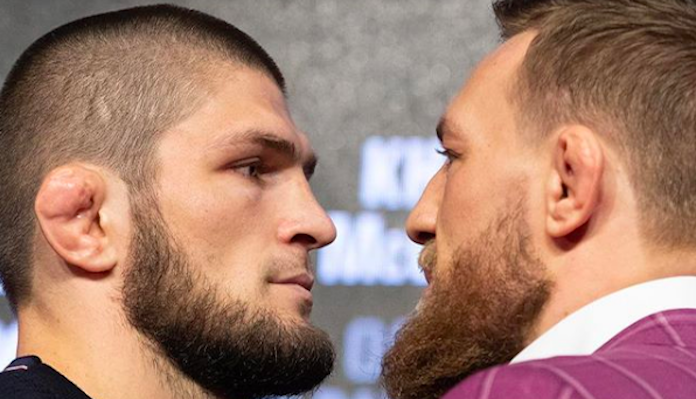 It’s obvious that Conor McGregor is not going to stop chasing a rematch with current lightweight champion Khabib Nurmagomedov. It was at UFC 229 where Nurmagomedov defeated McGregor by fourth-round submission to improve his perfect record and retain his title. Following the fight, members of both McGregor and Nurmagomedov’s teams were involved in a post-fight melee which resulted in suspensions for multiple fighters. As rumors swirl around McGregor’s potential return, Nurmagomedov has said he will stay on the sidelines until his teammates are eligible to return later this fall. During a Q&A session over St. Patrick’s Day weekend, which was attended and filmed by BJPenn.com’s Mike Pendleton, McGregor was asked about a potential rematch with Nurmagomedov. 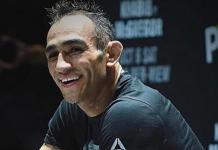 He said because there was ‘dispute’ following the fight, a rematch must happen between the two. That being said McGregor did give respect to his bitter rival as well. McGregor would continue on with his thoughts about the loss to Nurmagomedov, admitting that he overlooked the undefeated champion and that’s why the fight didn’t go his way. “If you do it time after time and year after year, that’s when the motivation kind of dips, that’s when the dedication kind of lacks, and that’s when people creep up,” he said. “That’s what I feel has happened here, I didn’t give him his respect, I marched forward, I didn’t give a sh*t, I got caught with that overhand. If I switched on, I would not get caught with that overhand in any form of combat. I’m very confident, very eager, very in shape, let’s keep it going. As he continued, McGregor talked about the ‘dispute’ that followed the fight and since he feels it is not settled, he expects the rematch to happen. Conor McGregor seems pretty set on getting a rematch with the current lightweight champion and sounds eager to settle what he feels is a dispute between the two sides.